Grammy® nominated pianist Kenneth Boulton has been described as “dynamically charged, fiercely committed, and brilliantly virtuosic” (Classics Today). Although his experience has touched all facets of the keyboard repertoire, Dr. Boulton has developed a specialty in American music. His debut recordings of Elie Siegmeister’s major works for solo piano, released in 1999 by Naxos, garnered international acclaim. Dr. Boulton’s recording, Louisiana – A Pianist’s Journey, was released in 2007 on Cambria Master Recordings and received a Grammy® Nomination for Best Instrumental Soloist (without orchestra). A seasoned performer, he has given solo and chamber music recitals in many major U.S. cities and Europe. 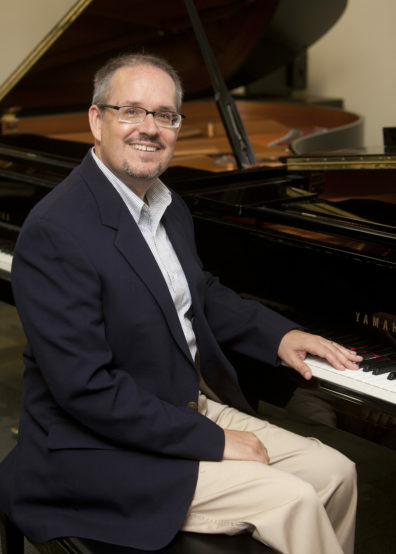 Born in Seattle, Dr. Boulton earned his bachelor’s degree in piano from Washington State University, and his master’s and doctorate degrees in piano performance from the University of Maryland at College Park. Dr. Boulton is currently Dean of the School of Fine Arts at Northern State University in Aberdeen, South Dakota.